The Petersham – Enjoy dishes like spiced duck and poached turbot surrounded by dramatic floral displays (£75pp). 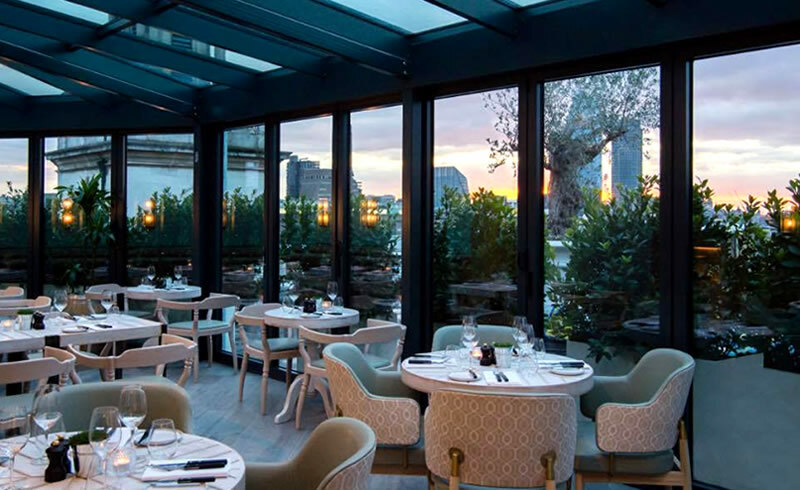 London House – Still a few tables available at Gordon Ramsay’s Battersea restaurant for a 3-course dinner for two (£60pp). Park’s Edge Bar & Kitchen – Pan-seared scallops, venison and turbot are on the menu at this gem in Herne Hill (£59pp). Michael Nadra Primrose Hill – Treat your special someone to a 4-course tasting menu and a glass of Champagne (£75). Cocotte – Indulge in Cocotte’s set truffle menu: 1/2 rotisserie chicken, two truffled sides, and 2 glasses of fizz for £24pp. 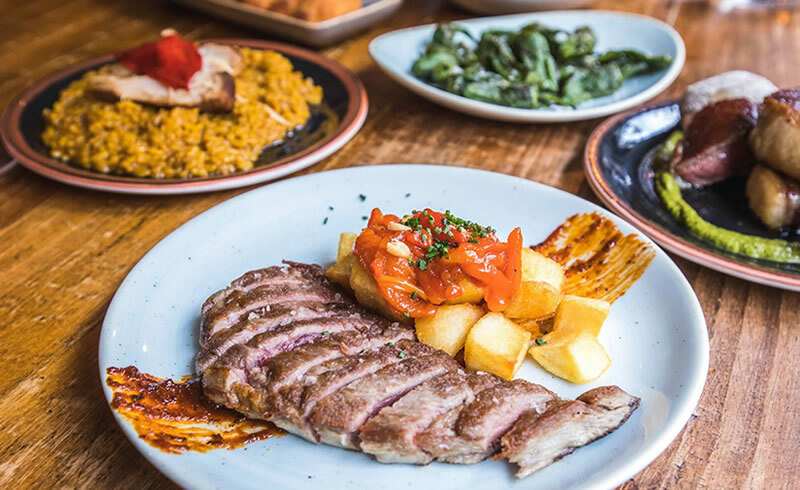 Tendido Cero – If tapas and red wine is your idea of date night heaven, Tendido Cero will definitely hit the spot. Iberica Victoria – Relive memories of Spanish holidays with tapas and sangria or a Valencian-style paella to share. Cinnamon Bazaar – Love Indian food? Spice things up in Covent Garden with four courses and a cocktail for £50pp. Aline of Lebanon – Aline brings the flavours of the Eastern Med to Mayfair. Share some mezze dishes with your sweetheart. Bellanger – Cosy up with traditional Alsacienne dishes and desserts at this brasserie overlooking Islington Green. Orient London – One of Chinatown’s more elegant dining options. Ideal for a romantic dinner or lunchtime dim sum. Mercer Roof Terrace – Enjoy steak, seafood, and views across the City skyline at London’s newest rooftop restaurant. ICHIBUNS – Head to Chinatown for Wagyu burgers, sushi and dynamite shrimp at this Japanese-American super-diner. 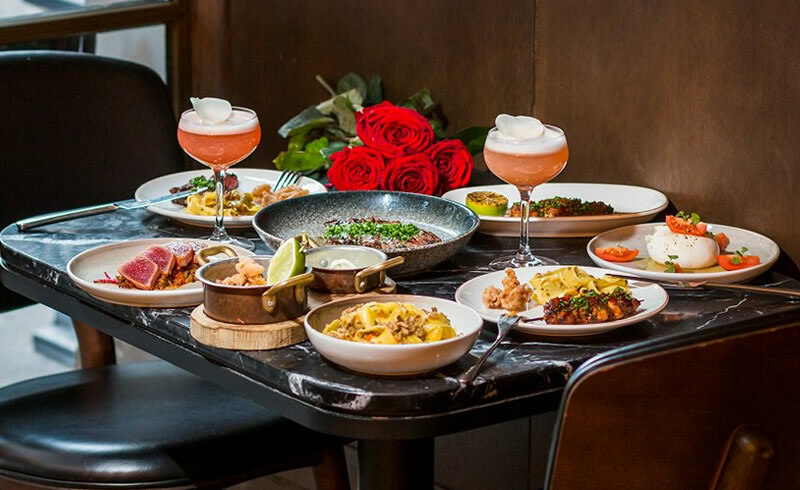 Romulo Café – Celebrate the Year of the Pig with a four-course pork feast at this Filipino restaurant in Kensington (£30pp). Maitre Choux – If your date has a sweet tooth, treat them to Champagne and eclairs or dainty choux pastries in Soho. 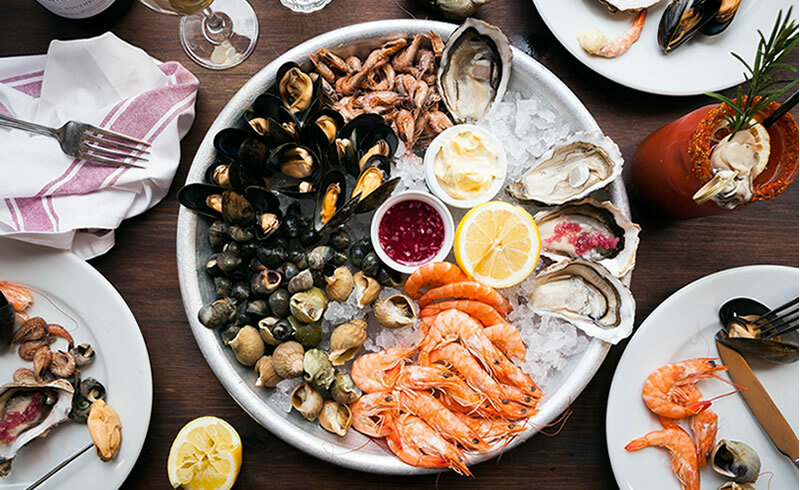 Wright Brothers Battersea – Snap up the last few spots for a spectacular seafood feast beside Battersea Power Station. Neptune – Sink into one of the blush pink banquettes for an evening of oysters and sustainably sourced British seafood. Claw – Claw’s small plates are perfect for sharing. Don’t miss their tempura fish tacos or the kimchi fried soft shell crab. Nothing taking your fancy? 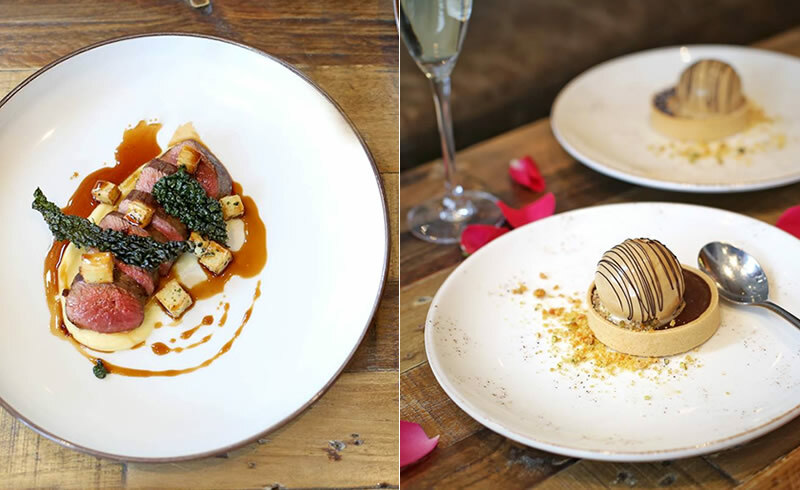 Visit OpenTable to find the perfect restaurant for Valentine’s Day or somewhere to spice up your next date night. Note: Tables available at time of writing, but filling up fast!